Eurovision is just around the corner! The lovingly camp event is in Vienna for its 60th year and looks bigger than ever now Australia is joining in on the fun. With RuPaul’s Drag Race in full swing at the moment too, I felt like Eurovision was in danger of simply not being gay enough. 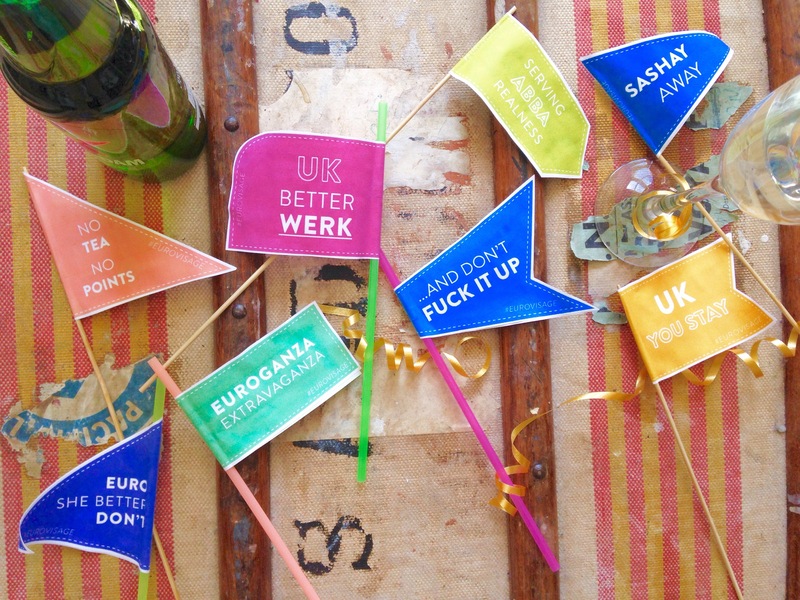 That’s why I’ve created free download and print flags to add some extra extravaganza to Eurovision proceedings! Time to thrown some shade in antisapation of the rest of Europe sending a fat zero. Click the image below to download the pdf and get start flying the flag, via drag.